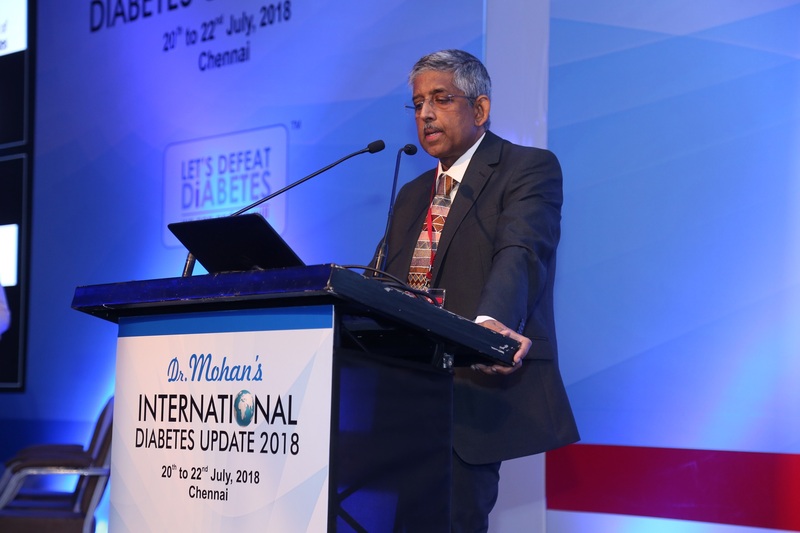 Dr. Mohan’s Diabetes Specialties Centre, a world class centre for diabetes inaugurated the fifth edition of Dr. Mohan’s International Diabetes Update at ITC Grand Chola, Chennai. The three-day conference was inaugurated by Shri. Gopalkrishna Gandhi, former Governor of West Bengal and Bihar. The annual International Diabetes Update is conducted to increase awareness and update knowledge on basic epidemics of diabetes. 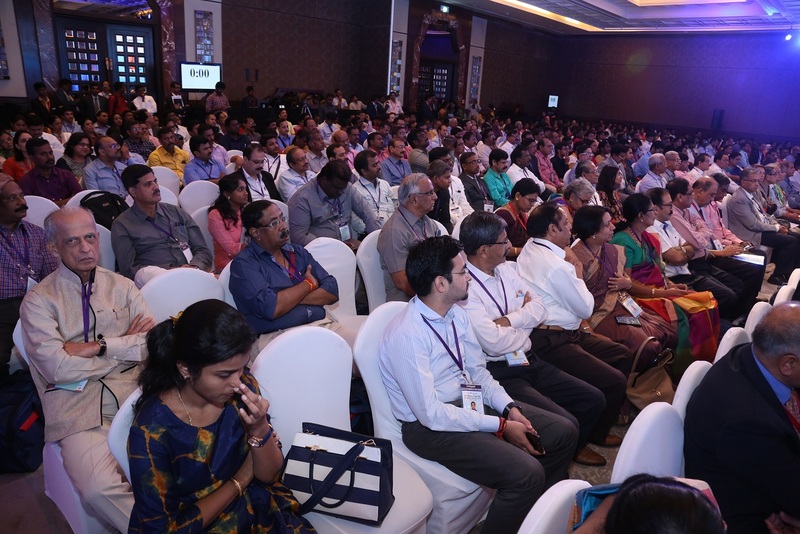 The fifth edition of the conference witnessed the participation of doctors and faculty members from all around the globe sharing their insights on diabetes. This year, the landmark event comprised of key sessions on the latest developments in the ever-changing field of diabetes and the importance of modifying lifestyle factors such as diet and physical activity in the prevention and control of diabetes. The conference witnessed several eminent clinicians and scientists as international faculty including Dr. Paresh Dandona, Professor of Medicine and Chief, Division of Endocrinology, Diabetes and Metabolism, The State University of New York , Buffalo, USA, Prof. Philippe Froguel, Professor, Department of Endocrinology and Director of Lille University and CNRS 8199 research group, Pasteur Institute, Lille, France, Dr. Satish Garg, Professor of Medicine and Pediatrics, Director, Adult Diabetes Program, Barbara Davis Center for Diabetes, University of Colorado, Denver, USA, Prof. Leif Groop, Senior Professor,Diabetes and Endocrinology, Department of Clinical Sciences, Lund University, Sweden,Dr. Jeyakumar Henry, Director, Clinical Nutrition Research Centre, Singapore, Prof. Colin Palmer, Chair, Department of Pharmacogenomics, Ninewells Hospital and Medical School, University of Dundee, Scotland, UK, Prof. Ewan Pearson, Professor, Diabetic Medicine,Division of Molecular and Clinical Medicine, School of Medicine,University of Dundee, Scotland, UK and Dr. Michael Pratt, Professor, Department of Family Medicine and Public Health, University of California San Diego , San Diego, USA. In addition, over 95 senior diabetologists and scientists working in the field of diabetes from India serve as the National faculty. About Dr. Mohan’s Diabetes Specialties Centre: Dr. Mohan’s Diabetes Specialties Centre is a diabetes speciality chain founded in the year 1991 headquartered in Chennai, Tamil Nadu. It is India’s leading diabetes care provider offering comprehensive services for diabetes patients. Dr. Mohan’s Diabetes Specialties Centres now has 42 diabetes centres and clinics in India (9 centres in Chennai, 2 centres in Vellore, 7 centres in Hyderabad, 4 centres in Bengaluru, 2 centres in Kerala and 1 centre each in Mysuru, Mangalore, Coimbatore, Kanchipuram, Salem, Erode, Madurai, Trichy, Pondicherry, Chunampet, Thanjavur, Vijayawada, Rajahmundry, New Delhi, Bhubaneswar, Lucknow, Tuticorin and Vishakhapatnam) and over 4,30,000 diabetic patients have been registered at these centres. The centre specializes in Total Diabetes Care, Diabetes Eye Care, Diabetes Foot Care services, Diabetes Cardiac Care, Diabetes Dental Care, Preventive Care, Diet counselling and an advanced laboratory.